One of the most popular vegetable to grow by farmers and home gardeners are the onions because it is mainly easy to grow even in small spaces and its variety of uses from cooking, garnishing to its natural cure for some common diseases. 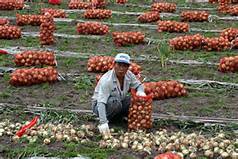 Onions also grow for a short growing time table and havesting it is pure joy to farmers and gardeners specialy if you have harvested healthy onions. There are different varieties of onions to choose but you need to know the kind of onion you want to grow that is suitabe to your climate and soil. 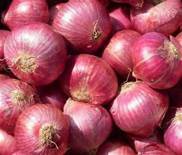 You must also know that onions are resistant to pest problems specially from root maggots that eat the bulbs. To prevent pest to destroy your onion plants, try planting radishes in the same plot. 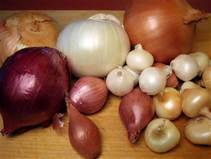 It helps preventing diseases and infestations to onion bulbs. Choose the type of onion that you want to grow – onions come in three types; the white, red or purple and yellow onions. White nions are tangier than the two types and have sharp shapes. Red or purple onions are mostly eaten raw but also best on saute with garlic to add flavor in your food. Yellow onions are sweet in flavor and mostly used in garnishing. 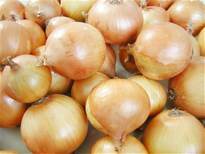 Planning how to grow your onions – choose from onion bulbs or onion seeds. Most of the seasoned gardeners prefer the onion sets because it can already stand to the weather condtion and sturdier. For beginners, you can easily learn from your local nursery of seasoned gardeners how you can start your onion planting. Use the right soil to use – the right pH level for the soil to use must fall between 6-7.5. Use the right fertilizer or manure to have a healthy crop. Test the pH of your soil at least a month before planting your onions. 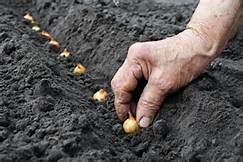 Planting onion bulb or seed – make it sure that you till the soil about 6 inches deep, then add your fertilizer. Try to remember that in any planting of any crop, weeds must be eliminated in the soil. Proper spacing is a must because onion grows large. Dig holes with spacing 4-6 inches apart. Then plant the bulb or the seeds of onion. Tamp the soil after putting the seeds in the hole then add water to give moisture to the soil. As the onion grows, you need to adjust their spacing due to its large size. Even if onions are easy to grow, they still need the proper care – make sure that your crop receives enough water to make it healthy. If you see weeds growing, do not pull them out cause it might damage the root of the onions. Try using a how to cut off the weeds. If you want your onions to taste sweeter, add more water. Harvesting your onions – if you want to know if your onions are ready to harvest, its tops have the golden yellow color and try bending the tops to see the onions if its ripe. If you see the it is already ripe, in 24 hours, if the tops turn into a brownish color, then your onions are ready to be pulled. Trim it off for an inch above the bulb and rots. Leave it dry for a day or two under the sun. Store your harvest where it allows good airflow to continue its drying stage.